By now, all major U.S. carriers confirmed they will launch 5G services next year, but we're still in the dark as to what their 5G phones will look like specs and price-wise. We know companies like Samsung, LG, Huawei and OnePlus are already working on 5G smartphones, and some of them might be revealed in Q1 2019. However, Verizon announced early this month that it has teamed with Samsung to release a 5G smartphone in the United States in the first half of 2019. Now, we have more info that confirms the carrier's statement. Apparently, the latest Samsung Galaxy Note 9 firmware mentions one device that is referred to as “bolt5gvzw,” XDA Developers reports. The device is listed along with four other phones that we already know they're different variations of the Galaxy S10: beyondx, beyond1, beyond2, and beyond0. The 5G-enabled Samsung Bolt will be equipped with a Qualcomm Snapdragon chipset, but what makes this piece of information important is that we now have evidence that suggests Verizon's 5G-capable Samsung smartphone if different from the “standard” Galaxy S10 models. 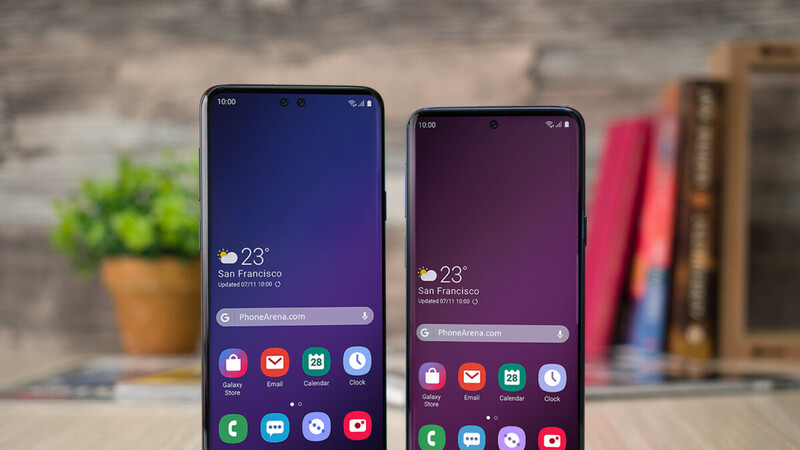 It remains to be seen to what extent these specs differences will go and how much it will cost in comparison with the other Galaxy S10 variants that Verizon will sell. Merry Christmas to all here on phoneArena! Good job on the renders at the top of the article too btw. Both phones look great!